I received a complimentary cosmetic bag from London Soho New York for review purposes, all opinions are completely my own. Are you traveling for the holidays this year? 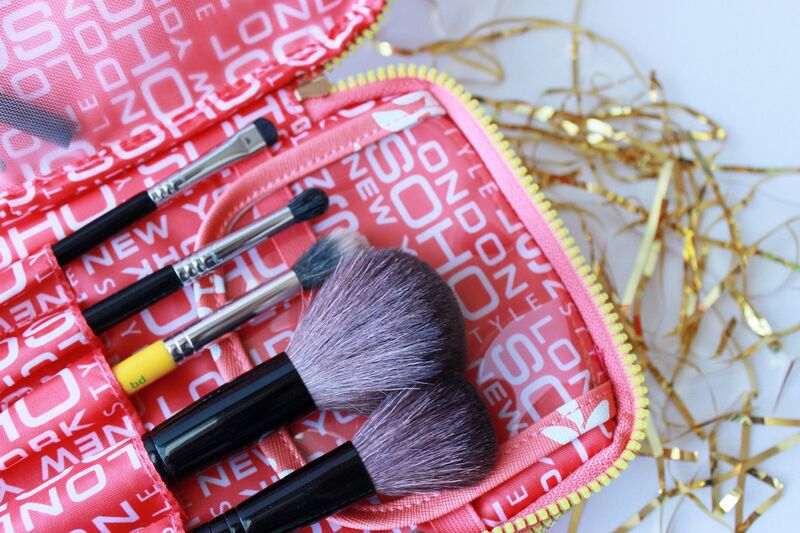 Have I got the perfect cosmetic/makeup travel bag to share with you! Perfect is a pretty bold word, but I can honestly say that London Soho New York has nailed it with this bag. Before I get into why I love the London Soho New York cosmetic box, allow me to give you some back story. For a long time (at least five years) I carried all of my makeup in a giant bag that I got for free from a department store. I loved that bag, but after throwing so much makeup into it for 5 years it got quite dirty. Sadly, I decided to throw my beloved bag away and went on a quest to find an identical one but I could not find anything that came close to it. I've had to settle for mediocre bags since then. Yes it sounds silly that I just spent an entire paragraph explaining my saga about a makeup bag, but when you love makeup like I do this is important. I've been looking for a bag that holds all of my makeup at once so it needs to be a pretty good size. 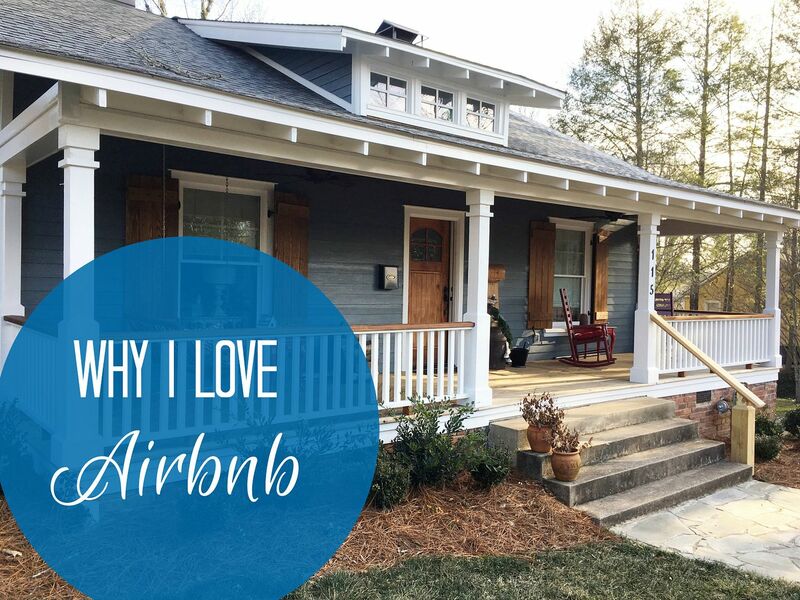 However, I don't want it to be too large with a lot of extra space. When there is extra space, your powders can come open and spill all over the place. No one wants that! 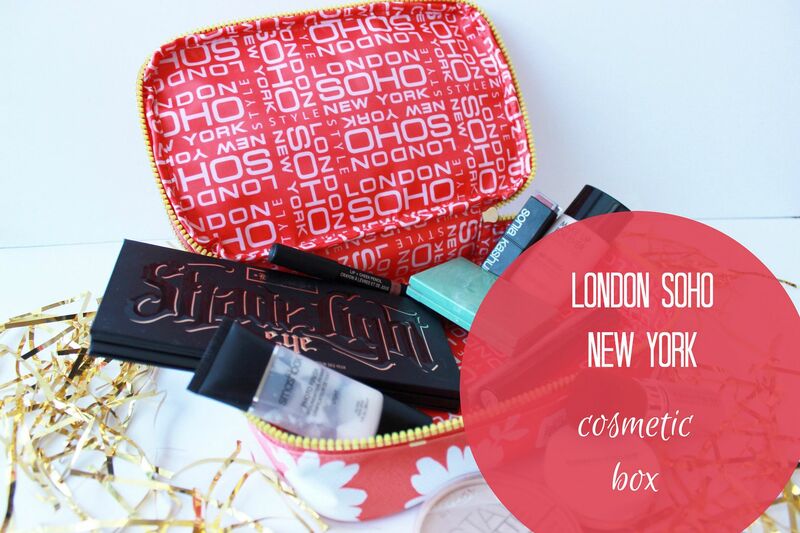 The London Soho New York cosmetic box is the perfect size. But why I really love the cosmetic box is the awesome brush holder in a separate zippered section. You are able to keep everything neatly organized in the brush slots. I hate just tossing my brushes into my bag and pulling them out later to see that the brushes have completely lost their shape. This way your brushes stay neat and tidy and will look how you expect them to look when you pull them out after traveling. Plus there is a mesh pouch which allows you to carry any extra brushes or miscellaneous items (lipsticks) you might have. And one final note for all of you neat freaks like me out there. 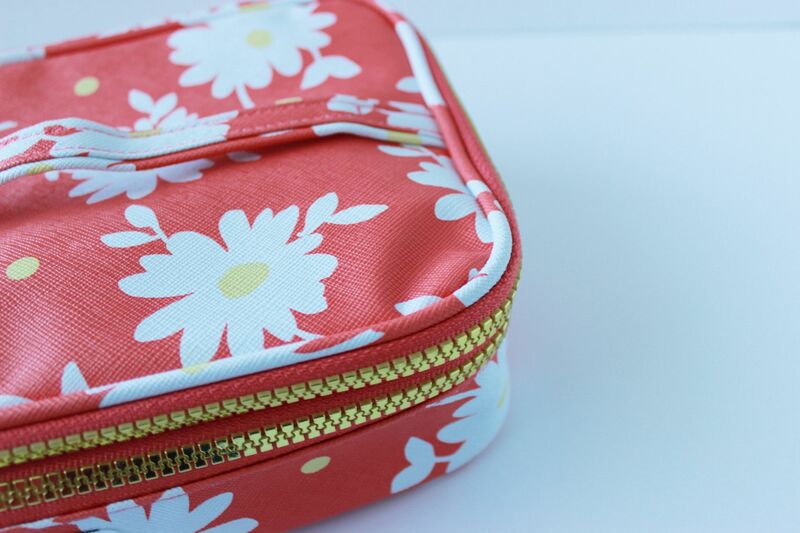 The inside is made of easy-wipe vinyl, so you don't have to worry about makeup staining your cosmetic box. I may never have to buy another cosmetic bag again! 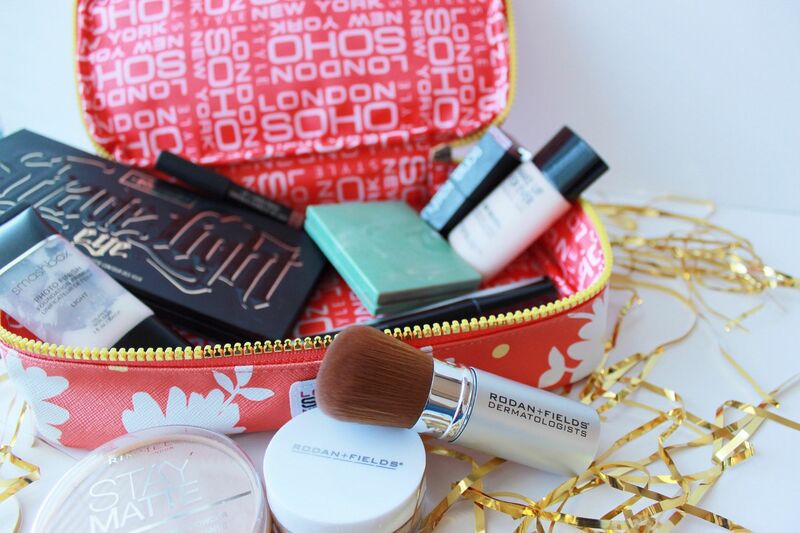 With a super affordable price point, this is THE cosmetic bag to own. It would also make a great Christmas present. You can pick one of these awesome bags up at Target. That one does look like the perfect bag for organizing those brushes and other make up knick knacks!